Lindblad Expeditions-National Geographic has announced their new itinerary to Cuba – Cuba by Land and Sea: Cultural Heritage and Natural Wonders. This 10-night People-to-People program combines visits with local community members with an exploration of Cuba’s natural history and pristine marine habitats. The tour begins with a three-night stay in Havana at the historic Hotel Nacional, a Havana landmark. This is followed by a seven-night cruise aboard the Panorama II, a 44-guest sailing yacht. 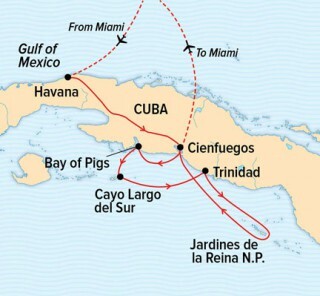 Along the way, you’ll visit Cienfuegos, Trinidad, Jardines de la Reina (Gardens of the Queen), Zapata Swamp National Park, Cayo Largo del Sur, and the historic Bay of Pigs. You’ll be joined by Lindblad’s expert onboard team of naturalists, cultural specialists and a Lindblad-National Geographic certified Photo Instructor. 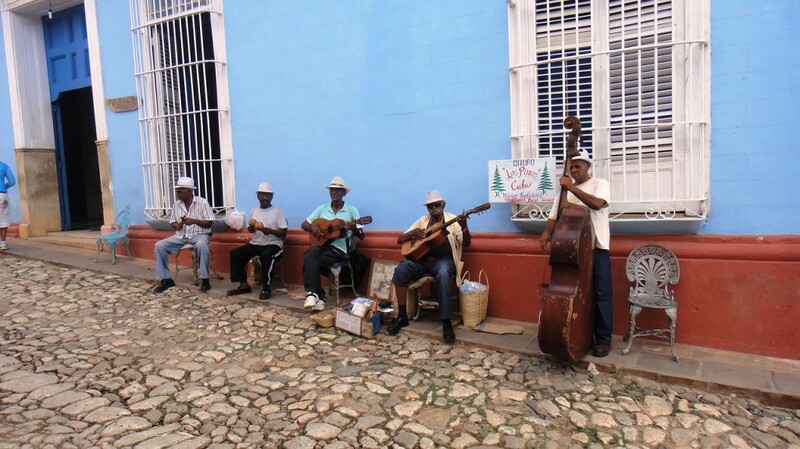 Gain an understanding of Cuba’s history and present through extensive people-to-people visits in the great cities of Havana, Trinidad, and Cienfuegos. Visit charming restaurants and discover cuisine that simply can’t get any more local or authentic. Meet some of the musicians responsible for the salsa, rhumba, and Afro-Cuban rhythms for which Havana is legendary. Explore some of Cuba’s superb marine habitats, seeing some of the finest coral reefs in the world, and meeting some of the people responsible for their preservation. Snorkel, or dive, among the coral reefs. Visit Cayo Largo and its sea turtle breeding center and meet the people managing a robust endangered species protection program. Visit the Bay of Pigs, where exiles landed in 1961 in an attempt to overthrow the Cuban government, and also learn of its important natural history. 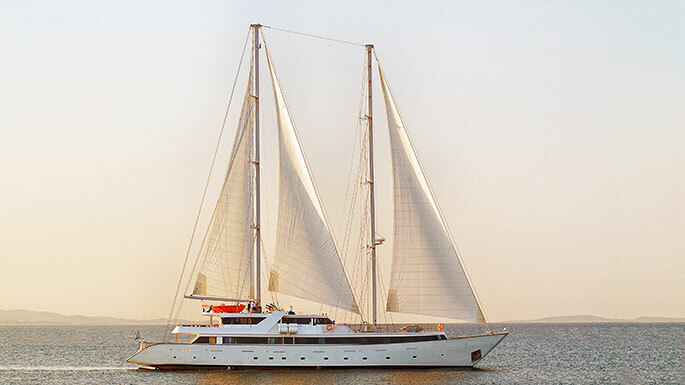 The Panorama II, a two-masted, state-of-the-art sailing yacht can accommodate up to 44 guests. The public areas include a main lounge with comfortable sofas. Outdoor areas include two sun decks and two bars. There is a library area and the lounge has a full service bar and facilities for films, slide shows, and presentations. The restaurant is located on the Lower Deck with generous buffet space and seating. Guests may swim directly from the yacht’s stern swim platform, weather permitting. Satellite Internet access is available on board. Cabins located on the Upper and Main Decks are equipped with windows, while those on the Lower Deck feature portholes. All cabins are handsomely designed, finished with lustrous wood trims and warm fabrics. The fully equipped bathrooms are finished with marble. All cabins are air-conditioned and fitted with TV, telephone, hairdryers, mini-fridge, central music, public address system and safe boxes. The first tour departs December 7, 2016, with 16 consecutive departures through March 2017. Rates begin at $9,500 per person based on double occupancy. Prices include all accommodations, meals, entrance fees and special access permits, and onshore excursions. If you would like to learn more about Cuba By Land and Sea, please contact us. We give you complete itinerary details and answer any questions you may have about traveling to Cuba. Bay of Pigs, Cienfuegos, Havana, Lindblad Expeditions, Panorama II yacht, People-to-People Exchange, Trinidad. Bookmark.